Compuscript’s online multimedia publishing consultancy service encompasses the creation, management and delivery of your content to multi-media, covering the whole production process. Compuscript offers various output formats for all types of publications. We specialise in books, journals, periodicals of trade, medical, legal, professional, scientific, technical and mathematical subjects as well as academic textbooks. Scanning the article, novel, text book or scientific publication. OCR (Optical Character Recognition) conversion. Coding (Table of contents, chapter and page breaks). Document clean up, including formatting to the requirements of the eBook publisher. In-house cover designed by our in-house graphic designers. File conversion includes cross platform support for all of the more popular formats such as .mobi for Amazon readers and .epub for Nook, IPAD, websites and other e-reader files. Our services bring consistency and reliability across all platforms by converting your content into different formats required for print, the Web, and all digital and mobile devices. Compuscript incorporates rich media and interactivity into regular eBooks using formats such as ePub and HTML5. These technologies enable us to create enhanced eBooks that are compatible with multiple devices, improving accessibility and supporting languages with non-Roman scripts. 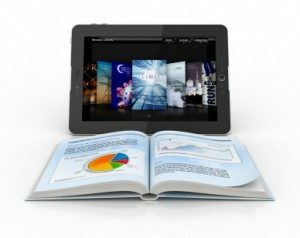 Our electronic publishing (ePublishing) services includes multi-media enhanced eBooks and journals that you can download and read on a variety of tablet reading devices, or eReaders, including all versions of Amazon/Kindle, Apple/iPad, iPods, and other Apple products and Barnes & Noble/Nook. Our print on demand (POD) service enables us to produce your required number of quality books, journals, articles, and other publications, saving on printing and handling costs, and reducing your need for storage. Enhance your online advertising by using Compuscript’s professional design publication service. Reach your target audience with our interactive image galleries, videos and diagrams. We will also create listing and indexes for visitors to your website as well as making trends and statistics available to you.